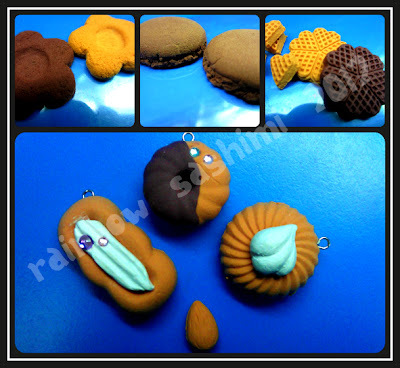 I recently ask my friend, Misaki, to help me order 2 packs of resin clay from Sophie and Toffee, a Singapore-based online shop. They sell loads of rhinestones and cabochons at cheap wholesale prices. This is an airdry clay made by the company Padico. 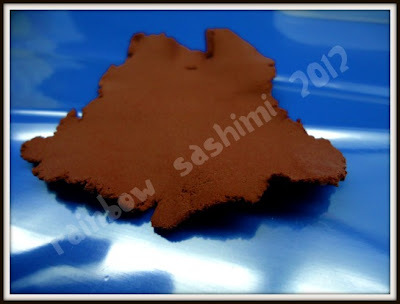 This clay series, which are in packs of 50g, comes in 3 colours; White, Biscuit and Chocolate. (: After reading a post by A Tiny Obsession, I got interested in trying it out. So I got a pack of Chocolate and Biscuit from Sophie and Toffee at SGD 5.50 each, since they didn't had White. We got our clay real quick through the mail. I'm doing up this review so people out there can have more information about this clay. Prior to my purchase, I could harder find reviews about this clay. So here is a video of my first impression of the clay! I just got it yesterday from my friend and made a few items already. 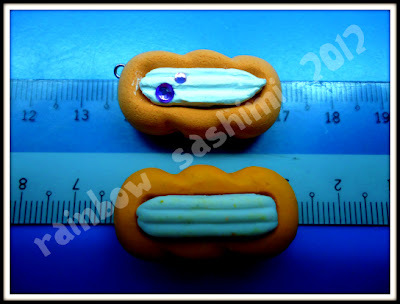 While making, I was lamenting over the fact that there wasn't White Puffy at Sophie and Toffee, so I randomly used some air dry modelling clay for the 'cream' and it made the charm heavier. You can also get rhinestones from Sophie and Toffee. From various sizes to colours, Sophie and Toffee sells a whole, wide range of rhinestones and pearls. For less than SGD 4, you can get a set of 200 pieces of rhinestones. That's real cheap! The downside for me is that I don't use so much rhinestones since right now since I only decorate my charms with one or two rhinestones, compared to people who bling up their phones and stuff. So I'm still undecided about buying them, although it's really definitely much cheaper and prettier, obviously. The clay can be rolled out quite thinly. When the clay is set aside, it will start drying. The surface will dry first and the insides are still soft. So if you squash the charm, it will still collapse. A day after drying, the insides will be less soft and when you press it, the charm will expand back in shape (not totally). I didn't talk about it much previously, but this clay, as advertised, really IS water resistant. A water test I did showed that the clay may become flaky after being soaked. The water was enter the clay and the whole thing will become soft, but retains its shape, AS LONG AS you don't press and squish it when it's soaked with water. Simply pat with a cloth and leave it to dry completely, and it'll be fine. In comparison to my Grace Clay Review, Grace had 0 resistance, literally melting in my hands, as I mentioned in my Panda Charm post. This means that with Puffy, you can literally washing the item, not to hard, as it may wash off the surface details. Refer to the below photo, I washed one of the flower waffle, the details it slightly affected. When it's dried, you can add on a layer of clay varnish, to protect it and make it more resistance. Sophie and Toffee sells Padico Varnish in Gloss and Matte. The clay feels rubbery, as mentioned. Time to dry depends on climate and the size of the charm, but usually takes around 2 days for top layers to dry. Only the flower and macaron shells were made without a mold. I might update again if I try throwing a piece of dried Puffy into water. Hope that this was helpful for you and that you enjoyed it! Remember to check out Sophie and Toffee. Puffy does dry squishy! But one should exercise restrain and not squish it too much because it might still crack. Another clay that I know of that dries squishy is Daiso Clay. I loved your blog !! 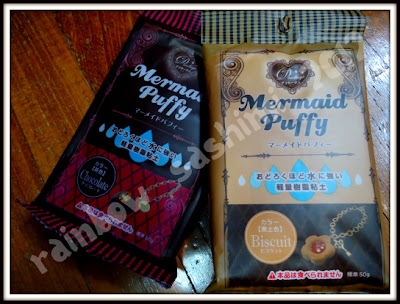 I was looking for a squishy clay and I thought that mermaid puffy was drying squishy but it doesn't !! On YouTube I found many tutorials about bouncing clay charms that does dry super squishy !! Plz make a review of it ! !